Are you upgrading your FIAT 500 Suspension with Lowering Springs or a Coil Over Suspension? We recommend replacing these at the same time to help avoid any knocking noise you may get by reusing the stock parts. It is common for the 500 to get a knocking noise from the suspension either due to wear or due to replacing the factory suspension with a stiffer set of lowering springs or by upgrading to a coil over suspension. 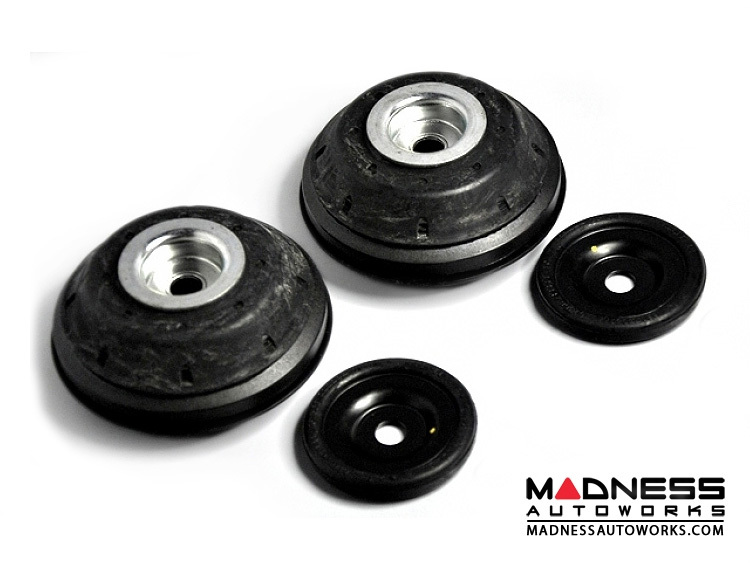 This kit consists of all new factory pieces that should help reduce any noise you may encounter from the front suspension. Take a look at the product pictures to see the entire kit. This is not just the bushings, but a complete kit. Be sure to check out our other listings for an upgraded strut top mount assembly kit. Direct product link below.